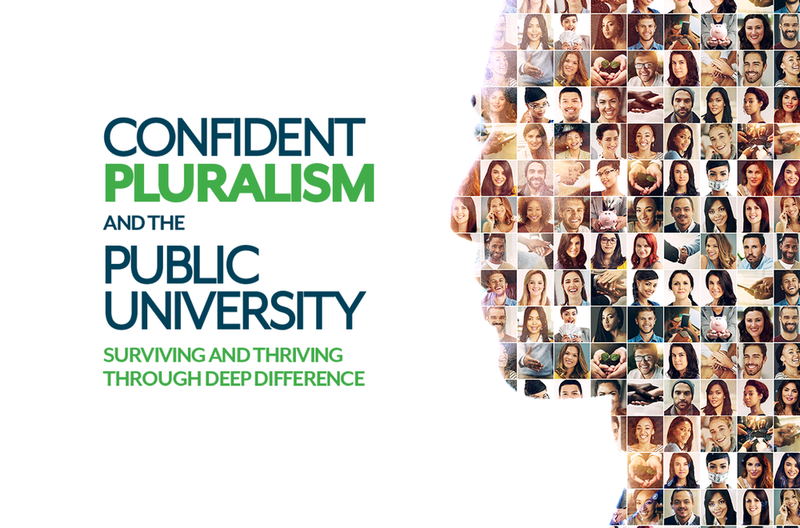 How do the legal and civic aspirations of confident pluralism intersect with the public university’s efforts to bridge difference and pursue knowledge? What is the role of the First Amendment in the context of the university? How do we as citizens and members of the university pursue tolerance, humility, and patience across difference? How do these issues inform our understandings of protests, safe spaces, and other campus controversies? These questions grow increasingly urgent as the public university confronts growing market, ideological, and cultural pressures. And our answers to them might tell us something about the university’s goals and values—and ultimately its purpose. Professor John Inazu is the Sally D. Danforth Distinguished Professor of Law & Religion and Professor of Political Science at Washington University in St. Louis. His scholarship focuses on the First Amendment freedoms of speech, assembly, and religion, and related questions of legal and political theory. His first book, Liberty's Refuge: The Forgotten Freedom of Assembly(Yale University Press, 2012), seeks to recover the role of assembly in American political and constitutional thought. His second book is Confident Pluralism: Surviving and Thriving Through Deep Difference (University of Chicago Press, 2016). Professor Inazu is the special editor of a volume on law and theology published in Law and Contemporary Problems, and his articles have appeared in a number of law reviews and specialty journals. He has written broadly for mainstream audiences in publications including USA Today, the Los Angeles Times, and the Washington Post. Professor Inazu was the law school's 2014 David M. Becker Professor of the Year. Prior to joining the law faculty, he was a visiting assistant professor at Duke University School of Law and a Royster Fellow at the University of North Carolina at Chapel Hill. He clerked for Judge Roger L. Wollman of the U.S. Court of Appeals for the Eighth Circuit and served for four years as an associate general counsel with the Department of the Air Force at the Pentagon.